Companies like Apple, Google and Samsung aren’t the only ones getting in on the smartwatch market; popular watch-makers have also been dipping their toes in as well. We’ve already seen Swatch confirm plans for a fitness-tracking timepiece, and now Montblanc is offering its own take on wearables as well. 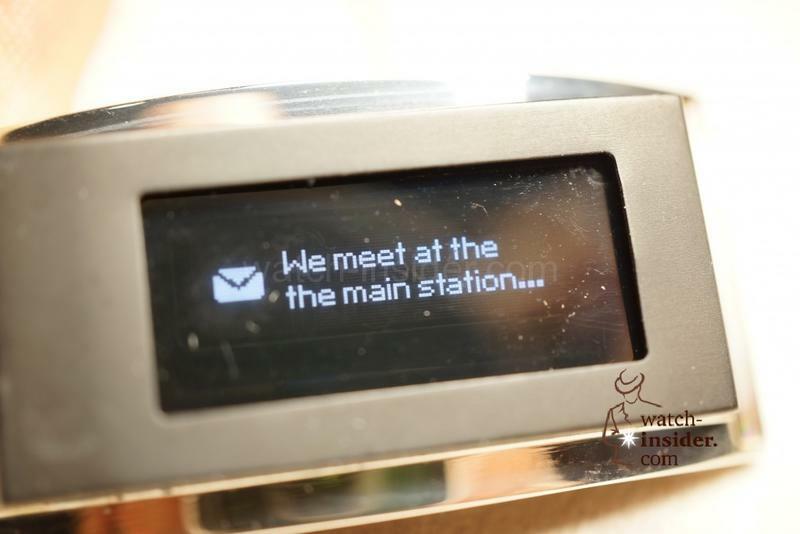 The company, which is best known for its high-end watches and fancy writing instruments, is getting ready to release a slim display that straps onto your regular watch and sits on the inside of your wrist. 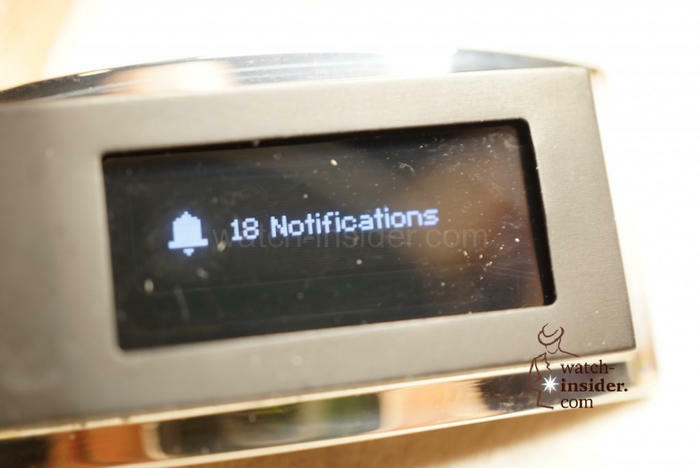 A fresh batch of photos from Watch-Insider bring us a first look at the smartwatch attachment, which offers a clever if somewhat bulky solution for bringing notifications to your wrist. 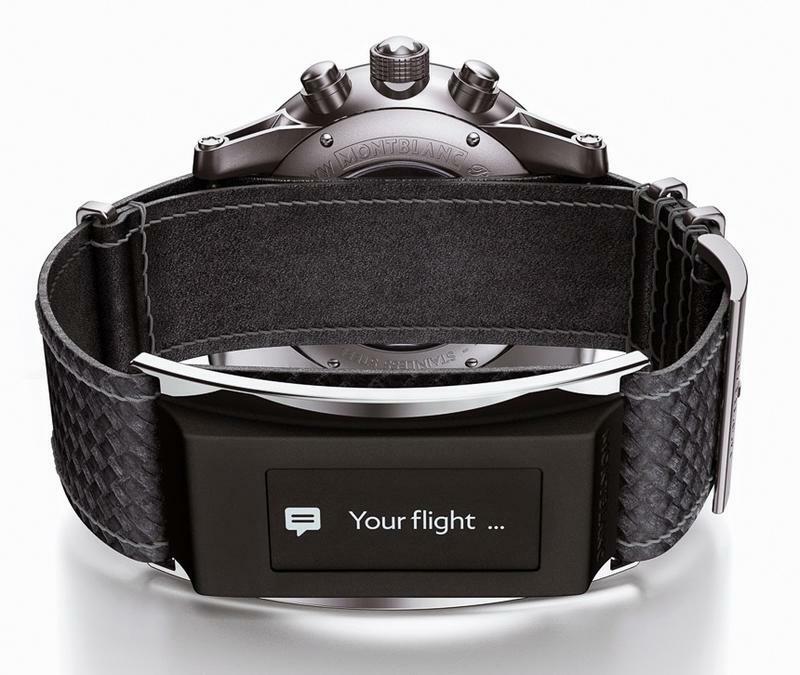 The e-Strap is designed to work with a handful of Montblanc Timewalker watches, and it’s expected to cost around €250. 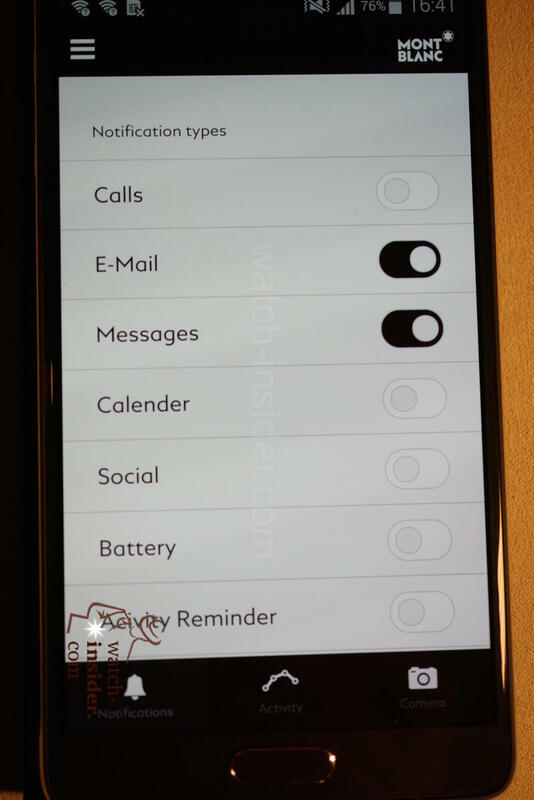 In return, it can display incoming messages and calls, and even remind you when you have an appointment coming up. 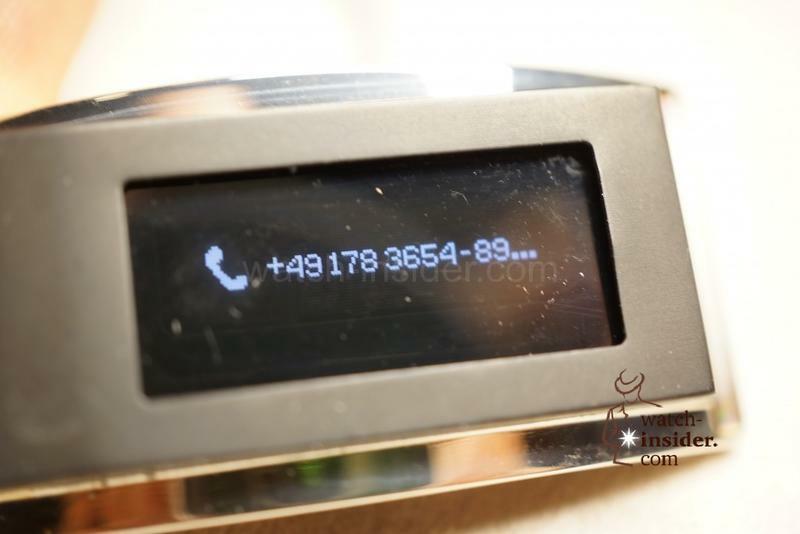 It also includes a built-in fitness tracker that syncs with an app available for Android and iOS. The display itself is black and white with a resolution of 128 x 36 pixels, but it seems good enough to get the job done. In terms of functionality, Montblanc’s e-Strap can’t compete with Android Wear or the upcoming Apple Watch, but that’s not really the point. 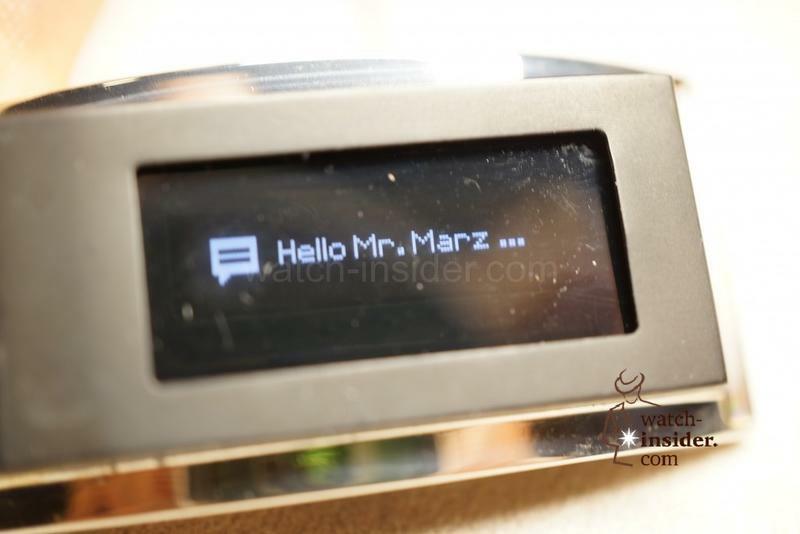 Instead, the company is going after current customers who have no problem paying thousands of dollars for a new watch, but are also interested in trying something a little more techie. In that respect, this bizarre new gadget may just turn out to be an unexpected hit.